There has been a planning application for 7 two-bedroom flats on the green space at the junction of Duncombe Hill and Brockley Rise. You can read the full details of the application on Lewisham's website. The full details of our objection can be viewed here. Last week Lewisham Council, in an act of defiance against Brexit, took the decision to fully implement the European Union Traffic Convergence Directive from the 1st April 2019. The main change that we will see on Lewisham’s roads will be the switch from driving on the left to driving on the right side of the road – in line with all other EU countries. Although drivers in Lewisham will need to drive on the right on all Lewisham roads, this will not apply to TfL roads (red routes) – including the South Circular. Drivers will be expected to change lanes as they turn and Kate Ford, Director of Roads in Lewisham, has said that “interchanges will actually be easier as there is more space for turning when you are switching form one side of the road to the other” - just remember not to turn into on-coming traffic! Sidney Hampden has been leading a campaign to reduce speeds on roads and has welcomed the changes, stating that “Lower speeds can be achieved through a variety of road interventions. Road humps and cameras have been shown to reduce speeds in 20mph zones, but researchers have speculated that asking road users to switch lanes at regular intervals encourages them to drive more carefully and at lower speeds – resulting in safer road conditions for pedestrians and zebras crossing as well as for drivers”. But there is no doubt that one of the main drivers of this policy is a last-ditch attempt to keep Lewisham in the EU. 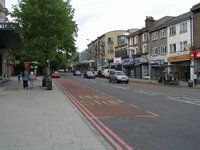 Councillor Evelyn Ward has said that Lewisham wants “EU nationals to feel welcome on our roads, and what could make them feel more welcome than driving on the right? We want to show that Lewisham is a forward-thinking borough that is open for business in all directions”. The changes are predicted to give a huge economic boost to Lewisham, which is expected to become a tourist hub for visitors from Europe, and even from America. The Forest Hill Society is not convinced that this is the right move. We are concerned that road users will not know where the red routes begin and where they end as red markings on the road continue for 50 metres away from the official red routes. It is also not clear what will happen on boundary roundabout, such as on Sydenham Hill. Unlike other Lewisham roundabouts, where road users will orbit counter-clockwise, this roundabout is officially in Southwark despite residents on three sides being classed as Lewisham – so it would be easy for drivers to forget which way to go on the roundabout and end up being too polite to go anywhere! There has been further opposition to the plans expressed in parliament, led by Lady Wellbrooke. Lady Wellbrooke claims that Lewisham’s 70% remain vote in the 2016 referendum does not constitute a mandate to shift to the right, and the signs being displayed across Lewisham are contrary rules relating to political advertising. The new rules, scheduled to start on 1st April 2019 will only apply to cars – buses will be exempt, so that passengers can safely embark and disembark from buses using existing doors. However, all buses operating in Lewisham will be required to have ambidextrous entry and hover board storage facilities by January 2015. 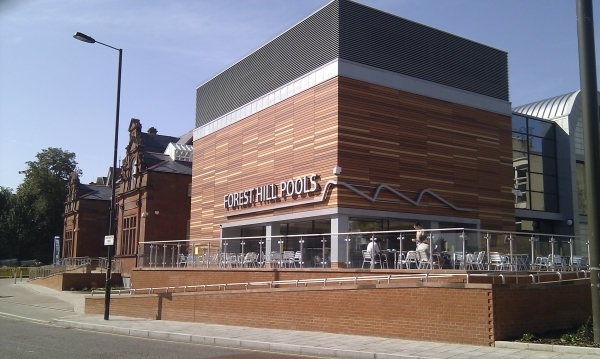 * Press release issued by the Forest Hill Society on 1st April 2019. Some of the details in this article may not be valid on any other day of the year.